Hi there Natural Babes! 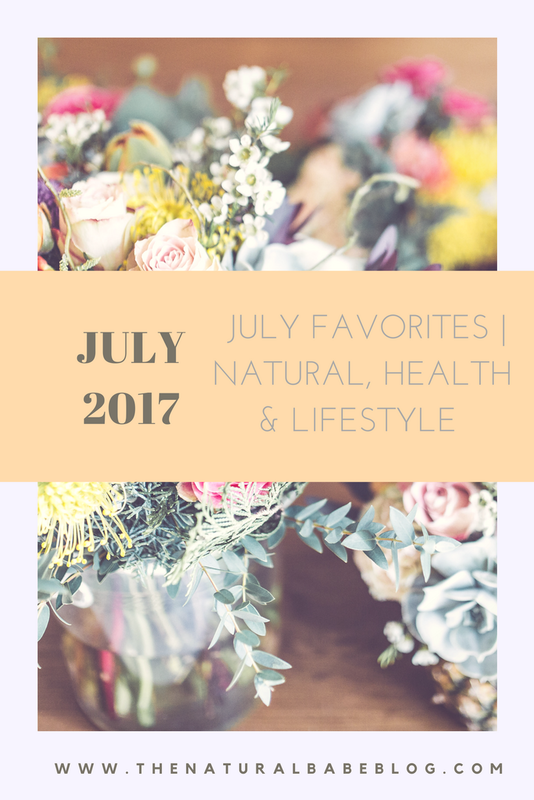 Since July is coming to a close I wanted to share my July favorites, aka all of the things I've been loving this month! From products, podcasts, and foods there are quite a few fun things on this list! So grab your favorite drink and a snack, kick back and enjoy! Make sure to comment down below some of your favorite items for the month of July! Hands down my favorite recipe this month was a chicken recipe I found on pinterest. The recipe is for garlic and paprika chicken drumsticks and it's best served with yellow rice (try to make the rice from scratch to avoid the preservatives that are in the store bought one) and steamed veggies! So easy and so good, here's the link! 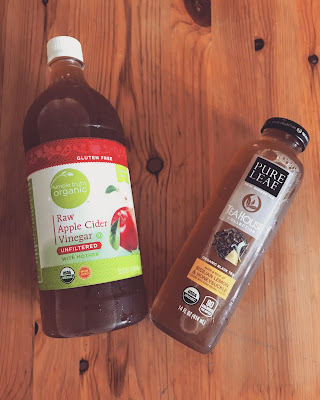 This month I just discovered that Pure Leaf Tea now has a collection of USDA Organic tea's that come in glass bottles! This tea has definitely been my go to drink this month and since it's from such a popular brand it is easily accessible. I was able to get this tea at my local Walgreens and gas station! So.. taste wise this is definitely not my favorite, but apple cider vinegar has so many health benefits that it is definitely worth including into my daily routine and I'm glad I did! Apple cider vinegar is known to detox the body, help with acid reflux, balance your blood sugar, lower pH, aid in weight loss, cleanse candida, whiten teeth and the list goes on (reference 1-see below)! I like to buy organic apple cider vinegar that is unfiltered and "with the mother" to get all of the health benefits that apple cider vinegar has to offer. I've found that buying store brand, drastically cuts the cost! This month my boyfriend & I have been trying to take a shot of apple cider vinegar every morning. then we drink 1/2 a cup of orange juice directly after to help with the taste. I have found myself listening to podcasts in the month of July more than I ever have before. Podcasts are great for several reasons, they are free and perfect if you don't have much time but are still interested in learning about something new. This month my go-to podcast has been the Healthy Mom's Podcast! Katie, the host is an amazing mom of 6 and she interviews professionals in the natural health field about all types of topics ranging from fitness, essential oils, diet and living a non toxic lifestyle. Weather you're a momma or not I think everyone can take away something from this amazing podcast. Surprisingly I did quite a few DIY's this month, okay maybe not so surprising but definitely fun! 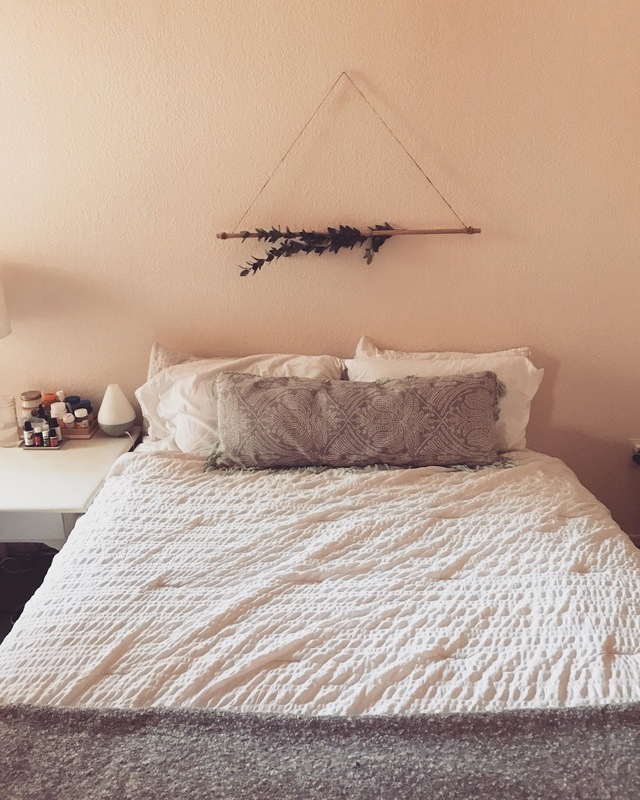 ;) One of my favorite DIY's I did this month was a simple and inexpensive decor piece for my bedroom. 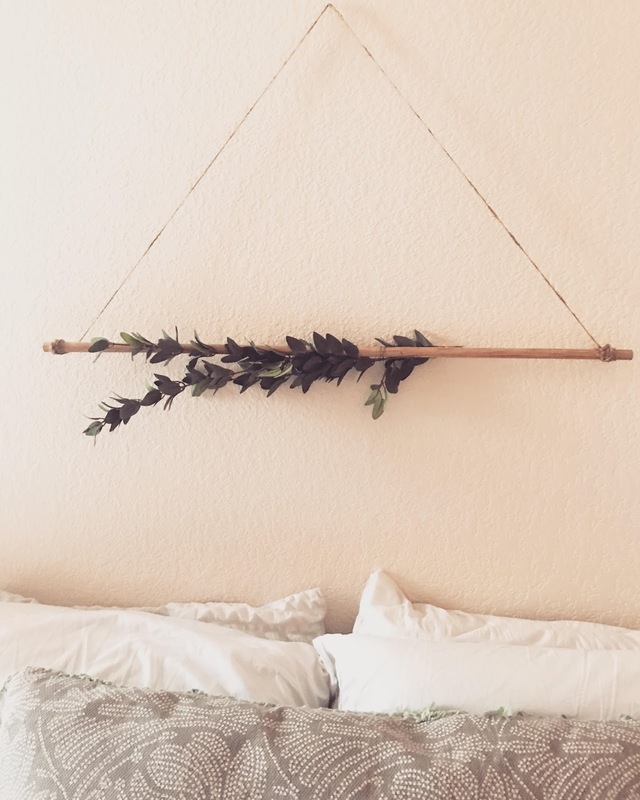 I decided to go with fake eucalyptus because I wasn't too sure how the real thing would hold up but even with buying the fake version this DIY cost me under $10! I was able to get the wooden rod from Home Depot for under $2, the floral wire and the thin rope from Dollar Tree and the eucalyptus from Michaels Craft Store. Now I have used Dr. Bronner's before and castile soap in general but I usually go with the unscented version; and wow have I been missing out! The lavender smell of this is amazing and castile soap in general is very versatile. We've been using this soap as body wash, face wash, and hand soap and bonus it is all natural and synthetic fragrance free! I bought these at the beginning of the month and have been loving them since! Charcoal has been known to cleanse the air of several toxins like formaldehyde, ammonia, and benzene that are often emitted from paint, flooring and other components of your home (2). The bonus to these bamboo charcoal air purifiers is that they are very inexpensive and one of the easiest ways I've found to improve air quality. I have two essential oils that I have really been loving this month and the great part about these two is they are highly effective, versatile and they are both very inexpensive essential oils! This month I have been loving grapefruit essential oil and orange essential oil. 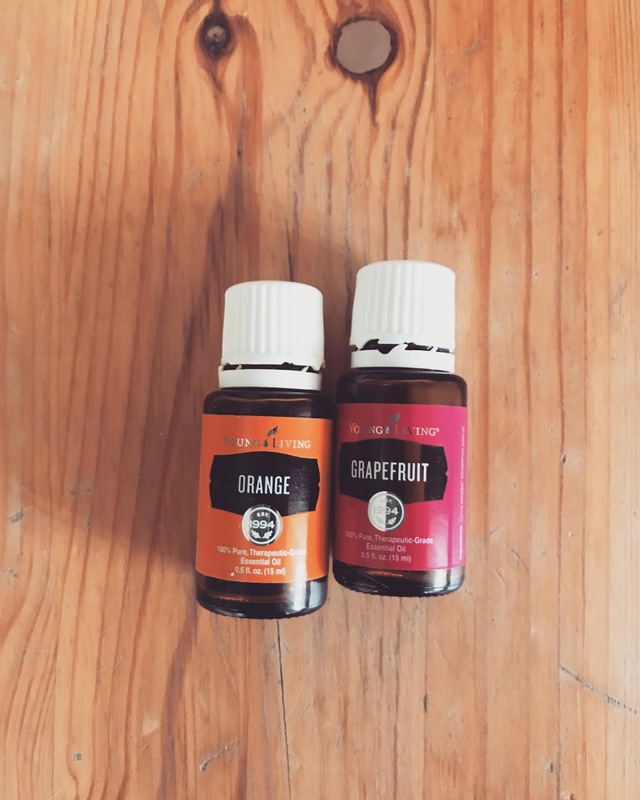 Grapefruit essential oil is great for disinfecting surfaces, cleansing the body, curbing sugar cravings, reducing depression and has been a holy grail for me at reducing cramps (4). I love to use a few drops of grapefruit essential oil directly on my back or my stomach to reduce cramps and backaches. My boyfriend got me into orange essential oil just recently, we were looking at our essential oil reference book one night (get it here: essential oil pocket reference) and I was reading off the health benefits of orange essential oils and he encouraged me to try orange essential oil out! It is an amazing essential oil and it is great for boosting immunity, disinfecting wounds, alleviating anger and depression, reducing inflammation and so much more (5). Well there we have it! Those are all the thing I've been loving in the month of July! What are some of things you've found yourself obsessed with this month? Comment down below! ** This blog includes affiliate links meaning if you purchase the item(s) from the link(s) I included I receive a small compensation at no additional cost to you. 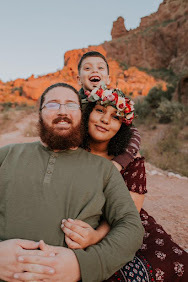 Programs like these are what help fund the natural babe blog and I truly appreciate any reader that may use or purchase using these links, thank you. (1) "20 Unique #AppleCiderVinegar Uses and Remedies." Dr. Axe. N.p., n.d. Web. 28 July 2017. (2) Mama, Katie - Wellness. "How to Naturally Clean Indoor Air | Wellness Mama." Wellness Mama®. N.p., n.d. Web. 28 July 2017. (4) "13 Grapefruit Essential Oil Benefits - Starting with Weight Loss." Dr. Axe. N.p., n.d. Web. 28 July 2017. (5) "13 Amazing Benefits of Orange Essential Oil." Organic Facts. N.p., 03 July 2017. Web. 28 July 2017.